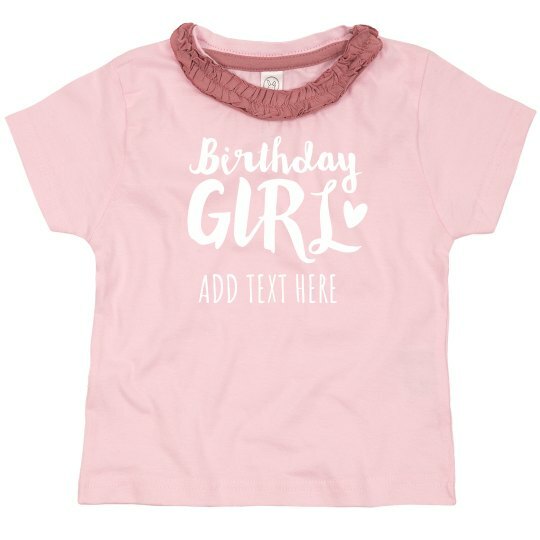 Celebrate her birthday with this sweet ruffle tee! Add your own text to really make it stand out from the other kids on her special day. You can even choose from various text and fabric colors to mix and match for the perfect combination.